Some time ago, my niece asked me for a skirt. She showed me one of her RTW skirts and asked for something similar. 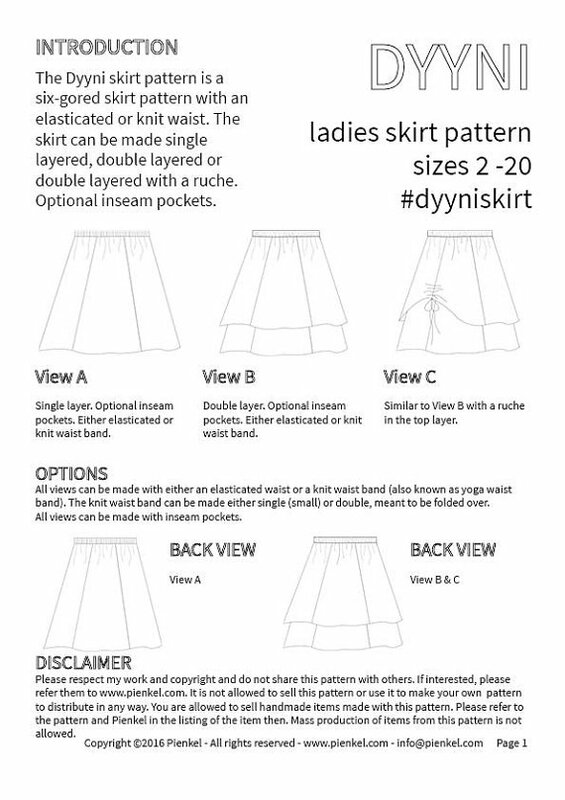 Immediately I thought of the Dyyni Skirt for Girls from Pienkel, that had recently been released. Needless to say it was a big hit! 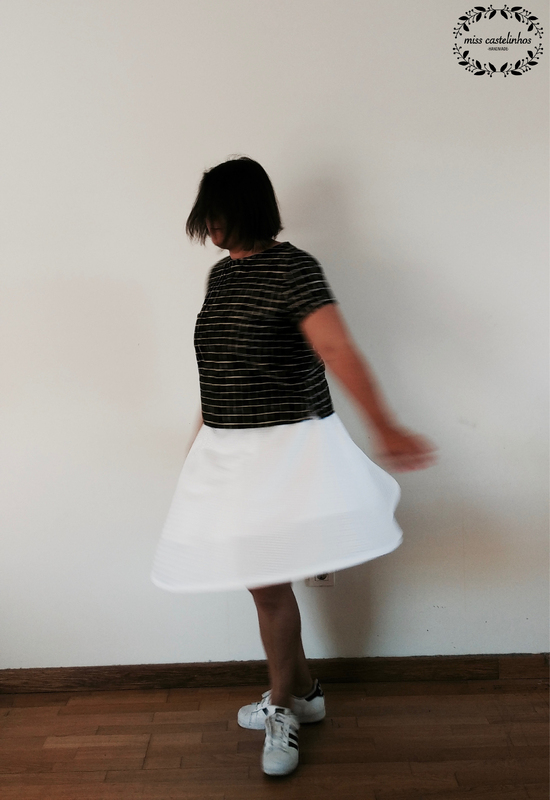 Today Nienke is releasing the Dyyni Ladies Skirt. Almost ever since I started sewing, I had this wish of making a skirt out of embroidery fabric. I’m not particularly fond of this type of fabric, but for some reason that “skirt” was in the back of my mind. As I applied for the test, I thought I would make a simple flared skirt, maybe in chambray, but when Nienke assigned me the two layers skirt it was my chance to make THE SKIRT! I found this beautiful embroidery in my local shop. Perfect for someone who loves geometric prints and patterns! 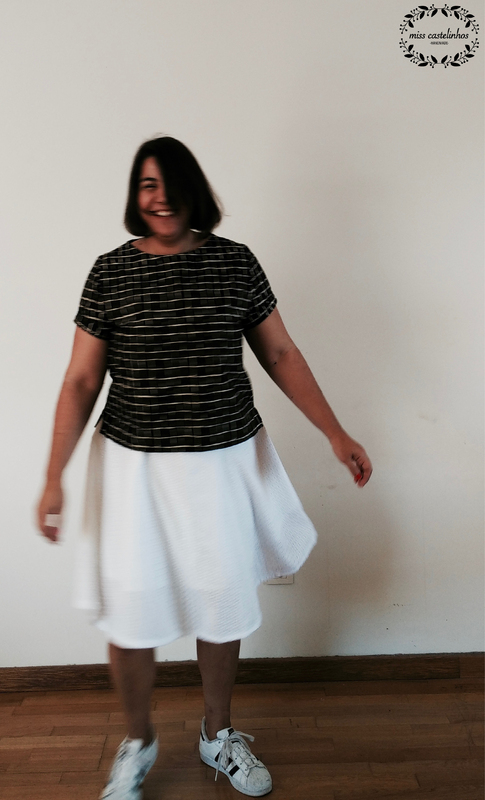 As I said before I made the two layered skirt, view B, with a slight diference. 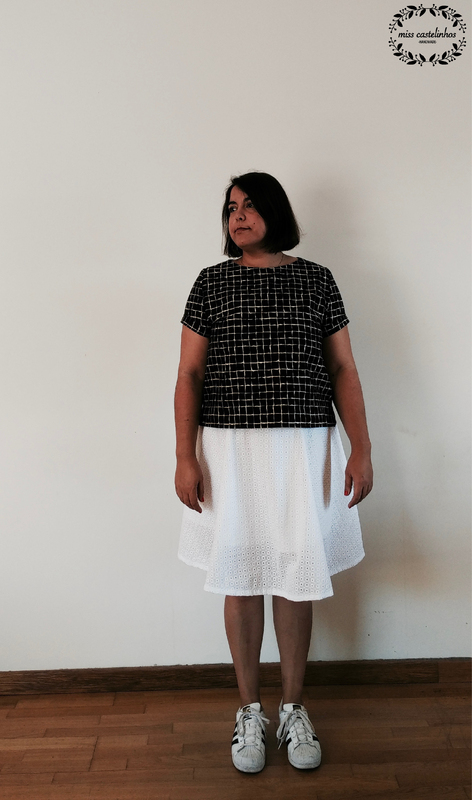 I used the shorter skirt as the bottom layer. Both skirts have six panels. You can add an elasticized woven waistband or a knit waistband. And also inseam pockets! That twirling really is addicting! 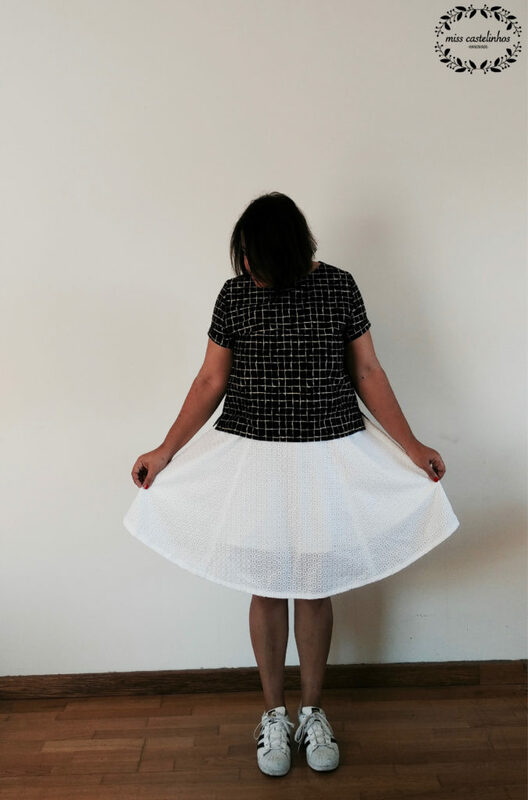 You can find the pattern on Nienke’s Etsy shop. It will be on sale for €7 (excl. VAT). You can get the bundle for both ladies and girls patterns for €10 (excl. VAT). To celebrate the launch, there will be a discount, using code DYYNILADIESLAUNCH. You will get a storewide discount of 50%, valid until Wednesday.